FC Virginia (FCV) Girls Development Academy will be holding player ID Sessions/Centers this spring. These are open to ALL players regardless of club affiliation. All trials and ID Sessions/Centers are free of charge. If you are interested in having your daughter attend a DA evaluation session or ID Center, please fill out the form via the link below and look at the schedule on this page. If you can't make one of the ID Center sessions, please contact us to come out on another date. If you are interested in learning more about FC Virginia Girls DA or interested in a player ID session, please contact Director Bobby Puppione or fill out the form via the link above. ID Centers/Sessions are for the 2019-2020 season and the age groups/birth years below are based on that seasonal year. Schedule subject to change and check this website and our social media for information. Please sign up via the google form on this page. FCV Girls DA will be having open talent ID sessions for 2001-2006 players during the spring. To set up an ID session, please contact us by filling out the Google Form above or by emailing Director Bobby Puppione. We will follow up to schedule an opportunity to attend one of our training sessions. 2007s should attend the scheduled DA ID session days. What is the US Soccer Development Academy? U.S. Soccer started the Development Academy Program to improve long-term player and coach development. After studying player development models domestically and internationally, U.S. Soccer collaborated with elite soccer clubs across the nation to create a program to provide the proper environment by emphasizing quality training and limited meaningful competition. 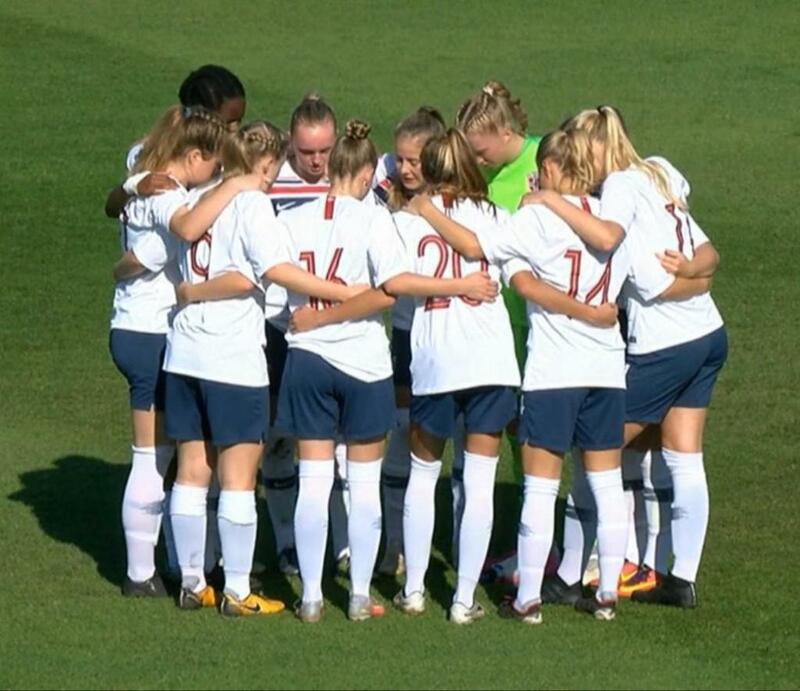 What are the benefits of playing in the Development Academy? What are some of the other included benefits that the FC Virginia Development Academy has compared to other clubs? How is the Development Academy good for college recruiting? The DA has already shown it is the “go to” event for college coaches. Here are some of the benefits of the DA with college recruiting: 3 National Showcase Events scheduled when colleges can attend. The ability for DA teams to attend other college showcase events outside of these 3 events. Match to rest ratio allowing for quality matches for colleges to see players at their best. Hundreds of colleges attended the DA showcases during year one, and more than 300 this past December 2018. What are some other college recruiting benefits for the DA and FCV? College Recruiting Director at FCV - Bobby Puppione - highly experienced and nationally known for his work in helping players navigate the college recruiting process . College coaches regularly attending training and league matches to watch FCV play. College coaches will be given access to video of DA matches to evaluate players (through our video capabilities). FCV teams attend other DA approved college showcase events to further increase exposure. What has the feedback been from college coaches about the Development Academy? The response from college coaches about the DA has been very positive. Coaches have noticed the high-level quality of matches, the sharpness of players (from the training to match ratio and periodization), and the ability to better evaluate players for their college program. Are players allowed to play other sports in the DA? Yes. Players are allowed to play other sports in the DA. FC Virginia inspires players to make a difference on and off the field. We believe in developing the individual player by providing high quality training and matches along with character development in a first class, daily environment. - FCV is the #1 Girls DA Program in the Metro DC area. - FCV not only develops players, but we develop people through our service work, civic duties, and opportunities to give back. - FCV has had more players called in to US National Team Camps than any other DA program in the area. - FCV has multiple players involved in US National Team ID Centers. - FCV is known nationally for helping place players in to college programs. - FCV has one of the most qualified and diverse coaching staffs in the area. 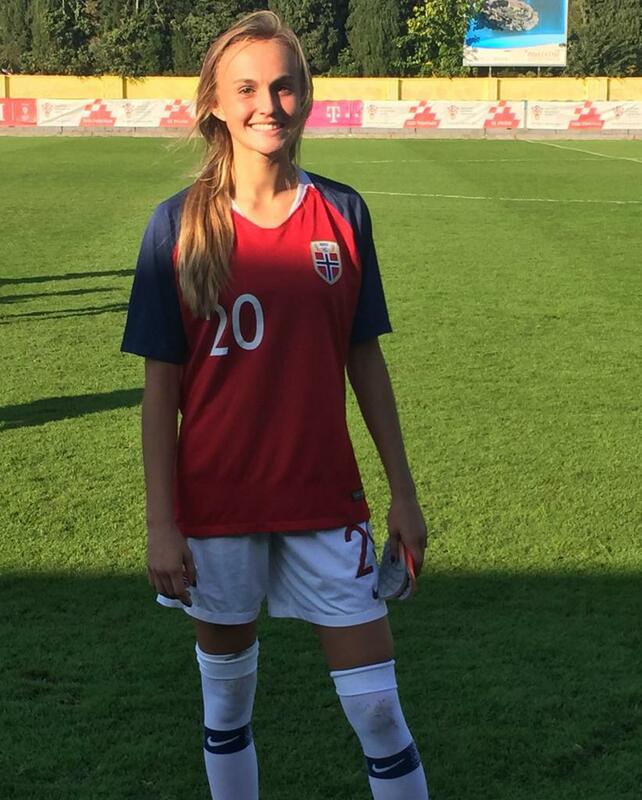 Recently, Victoria (Dori) Haugen returned from her second trip with the Norwegian U16 National Team. Dori, a 2002 birth year player and 2020 Virginia Tech commit, plays on our U19 FCV Development Academy team. She has been a part of the club for more than 6 years. We caught up with her and asked her some questions about her experiences playing internationally. Q: What was it like to play international matches in Europe? A: Playing international matches in Europe was an amazing experience that not many people get to do. Q: What did you like most about the opportunity? A: What I liked most about this opportunity was learning more of the Norwegian language and playing soccer against top players from many different countries. Q: How has FC Virginia helped you prepare for this experience? A: FC Virginia has helped me prepare for this amazing experience by supporting me and helping me every day to become a better soccer player. Q: How has playing in the Development Academy helped you prepare for this experience? A: The Development Academy has helped me prepare for this experience by establishing a league focused on quality and composed of the best teams in the country. Q: Tell us a quick funny story about your experience with the Norwegian National Team. A: A funny story from my trip was when the girls tried to show me how to play a certain card game but we couldn't understand each other. It was funny. If you are interested in joining the Development Academy, FC Virginia (FCV) is holding player trials/evaluations. Players are invited to trial with our Development Academy teams. Talent Identification Training Centers will also be held in 2019. Check out the link below. ©2019 FC Virginia / SportsEngine. All Rights Reserved.